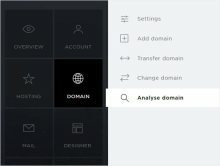 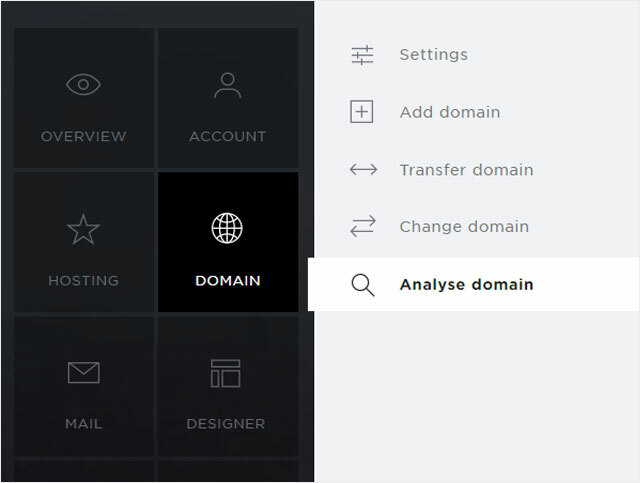 Click the «Domain» menu item and then «Analyse domain». 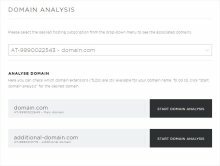 Click the «Start domain analysis» button next to the desired domain. 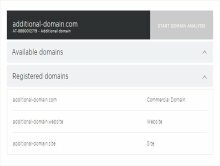 Please note that the request can take several seconds because the query must be sent to multiple registrars. 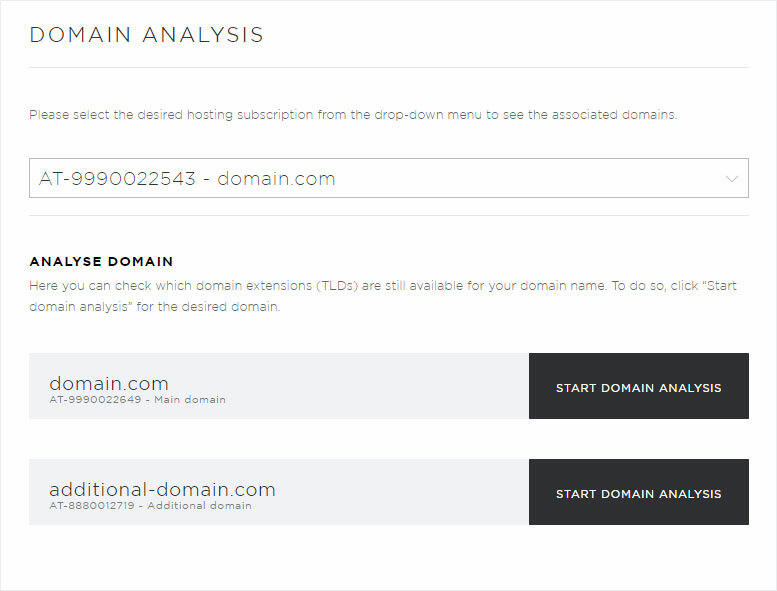 The analysis shows you which domain extensions are still available. 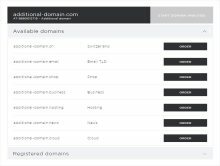 Each can be registered by clicking the «Order» button. 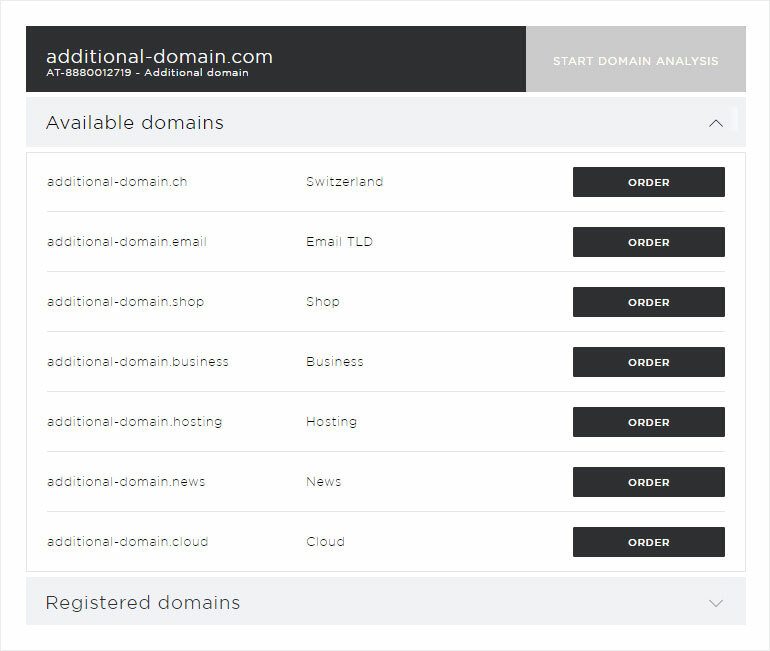 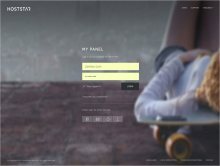 The domain extensions you already registered are listed as well.